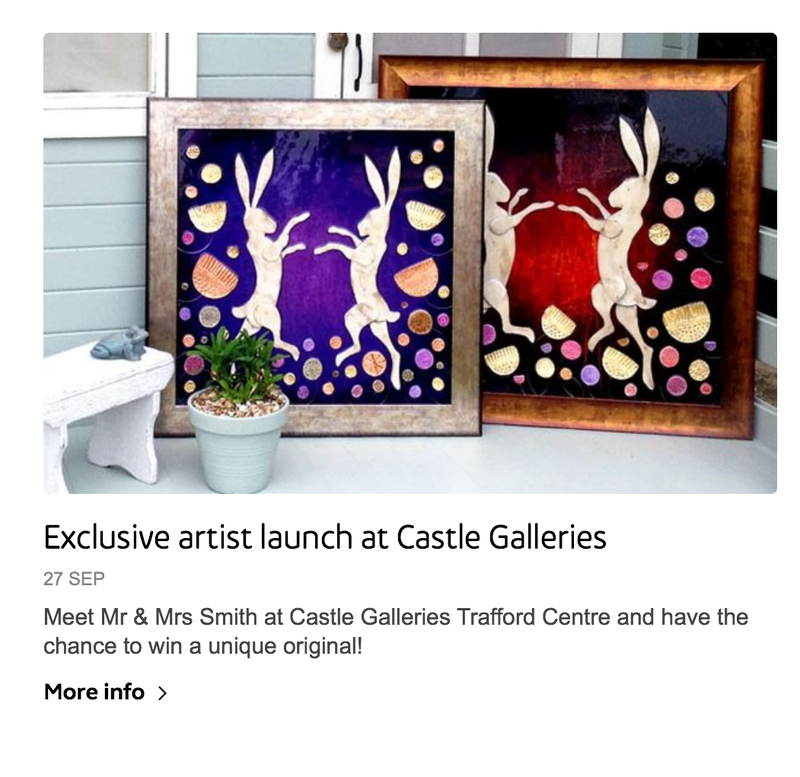 Don’t forget that this Saturday 27th September we will be making an appearance at the Castle Galleries, Trafford Centre in Manchester between 12-3pm. 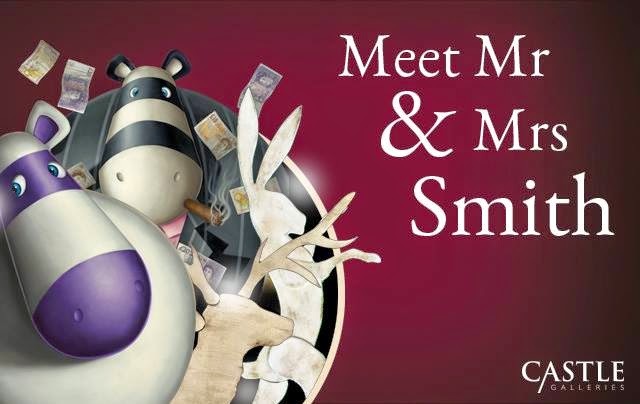 Everyone is welcome to come along to this free event to have a chat, get things signed and to see all the latest Impossimal limited editions, sculptures, special oil sketches and originals that will be there on the day with the added bonus that this is a Mr & Mrs Smith appearance so that means Jaynes fabulous artwork will be there too! Also you have another chance to find five golden hares, our special tickets to a tremendous prize. These will be hidden in the gallery ready for the appearance and if you spot one it’s yours for the taking. If it’s anything like last weeks event it should be a great day so don’t be shy, come along and be part of the family as we celebrate all things Impossimal. It’s even listed on Trafford Centres own website so we have got to turn up now! Can you believe it! 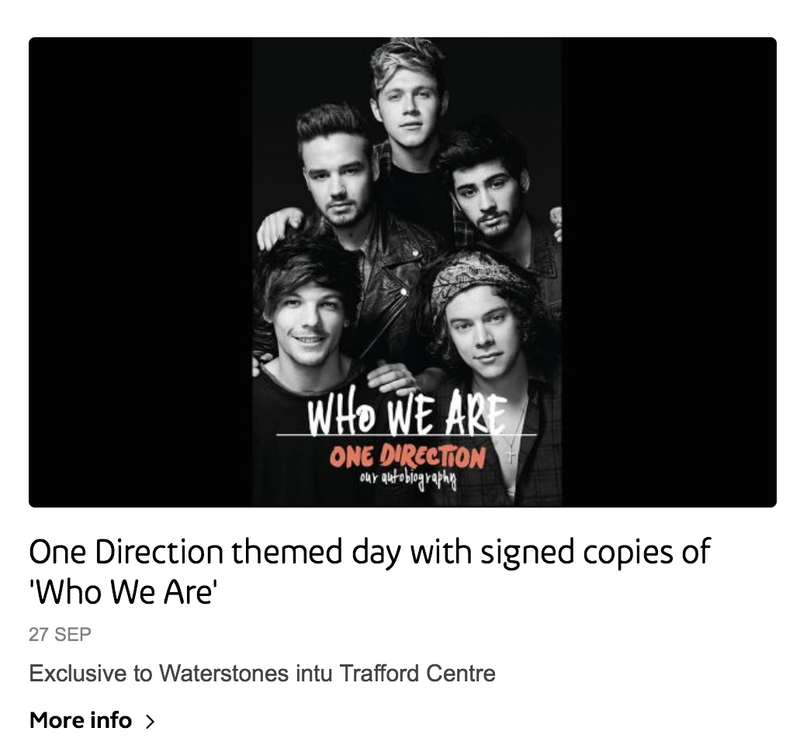 on the same day we are there the Trafford Centre is having a One Erection themed event with back to back One Erection music for an whole hour, a One Erection book launch (They can write?) and everything else One Erectioned! Wow! I have died and gone to somewhere very hot indeed that sounds like bell. You really couldn’t write this stuff could you, all I need now is one of the Traffords faux roman style sculptures to break from its pedestal and crush me in the main entrance and my weekend would be complete. BTW the new book is called ‘Who We Are” a follow up to the popular ‘Where We Are’ and contains words and pictures. Mostly pictures. Just pictures as they try to fathom out who and where they are like a really crap where’s Wally book. See you all tomorrow! Can’t wait to hear ‘Story Of My Life’ back to back for hours on end, I might even wear my 1D t-shirt. 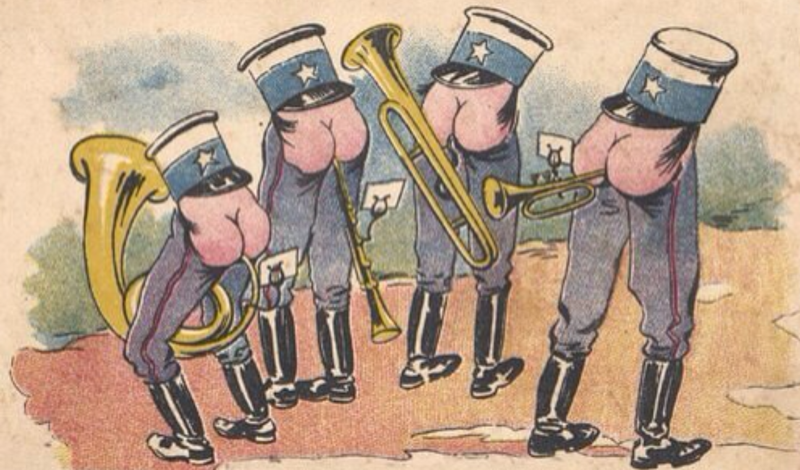 We have managed to gain exclusive backstage access and took this stunning photograph of the boys in action!!! !